Frederator Studios Blogs | Fred Seibert's Blog | It’s time for summer vacation. It’s time for summer vacation. This week’s card is the last in this postcard series of record labels, and it’s a departure from the other four in a few ways. Most obviously, it’s red. 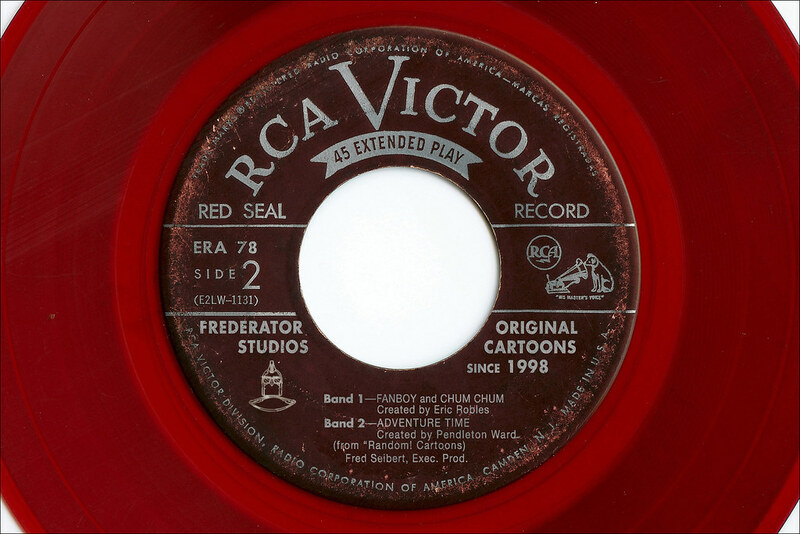 Almost immediately after vinyl replaced shellac as the record manufacturing material, companies realized its flexibility allowed for color pressings, and for the next few decades they hoped the novelty could move a few extra units. And it’s a 45rpm EP, which RCA used to try and compete with Columbia Records‘ superior 12″ LP. This card is adapted from the classical repertoire rather than my more familiar soul, blues, and rock. Lastly, it’s from one of the world’s major recording labels of the 20th Century. I tried sticking to the indie approach, but the red was just so cool. I’m sure record labels will crop up again in some future series, but for your sake, let’s hope its out of my system. We’ll be releasing Frederator Postcard Series #11 in the autumn.